AFR works by alternating frames between the linked GPUs; one frame is rendered by GPU 1, then the next frame is rendered by GPU 2, then back to GPU 1, and so on. Please, keep in mind that AMD CrossFire works only with full screen applications! 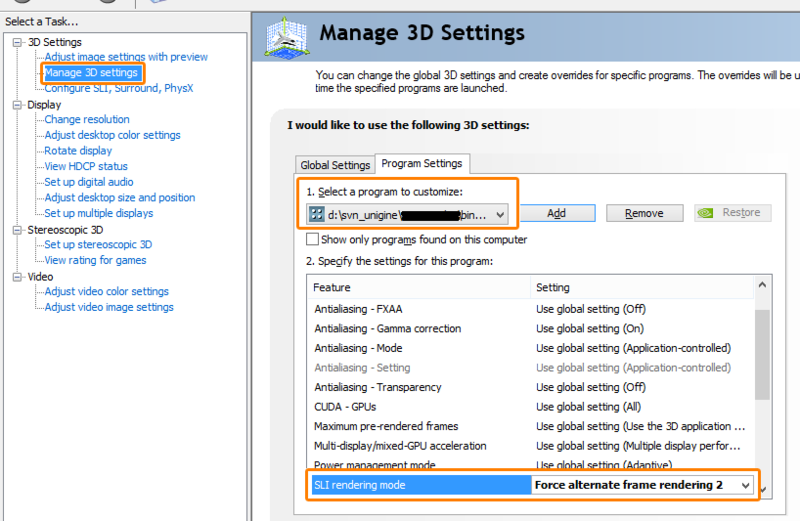 Follow these steps to enable AFR for your UNIGINE application. 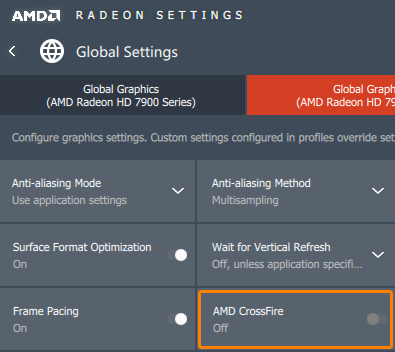 Enable checkbox named AMD CrossFire and click Confirm. 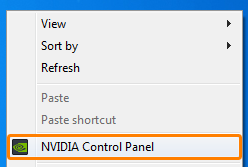 You may have to switch to the different GPU if you don’t see this checkbox by default. After a screen flash, open Gaming section again. 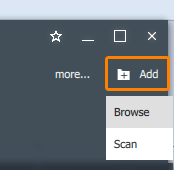 Select Add -> Browse at the top right corner and browse for your application executable (*.exe). Via the file dialog select your application and click Open. Please note, that with TAA enabled SLI / CrossFire will not give you 2x performance boost due to complexity of deferred rendering. In a worst-case scenario you can even get lower framerate that it was before. LiquidVR and VR SLI technologies are not currently supported. Thus, CrossFire and SLI configurations provide no performance gain in VR applications.